There are some of us who eat to live and then there are those that live to eat. I am the latter. When planning a trip to a new destination, a bulk of my research is devoted to food. Where is the best place for breakfast? Where do all the locals love to dine? Am I able to find great curry anywhere? Dining out while traveling is no longer a necessity but a part of the cultural experience when traveling. In the land of meat and potatoes, it may come as surprise that Fargo-Moorhead and West Fargo are home to some amazing (and authentic) ethnic restaurants. With close to forty restaurants that I would consider to be authentic ethnic cuisine, here are a few of my personal favorites (in alphabetical order). You know when you’re traveling and you see a sign that reads “Best Gyro in Town”? Don’t believe it. They are lying to you. The “best gyro in town” is at the Cafe Aladdin in Fargo and they don’t need a sign to prove it. 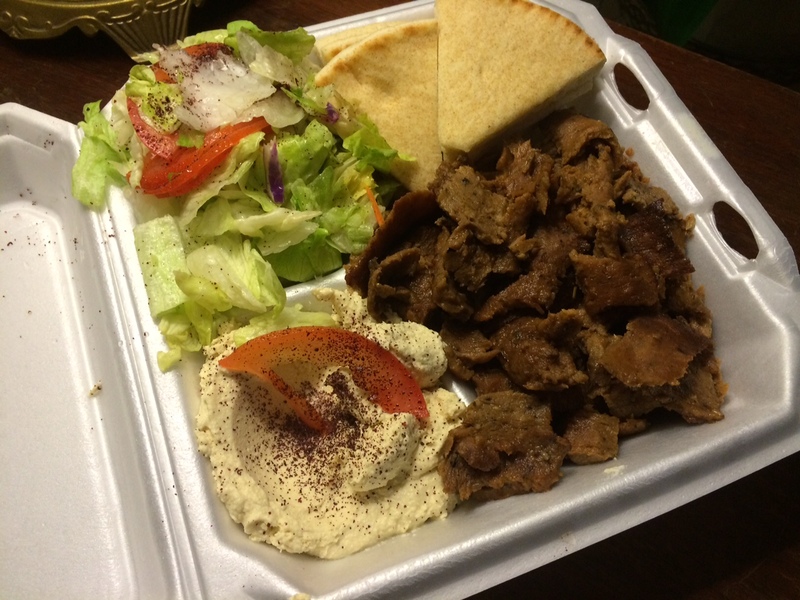 My favorite dish is the Gyro Plate for $13. It’s all the fixings of a gyro but with more pita bread (this Northern girl still loves her carbs) and you get a side of hummus. Foodie Tip: Always order a piece baklava to go. Always. New to Moorhead, this restaurant offers a fantastic buffet during lunch. 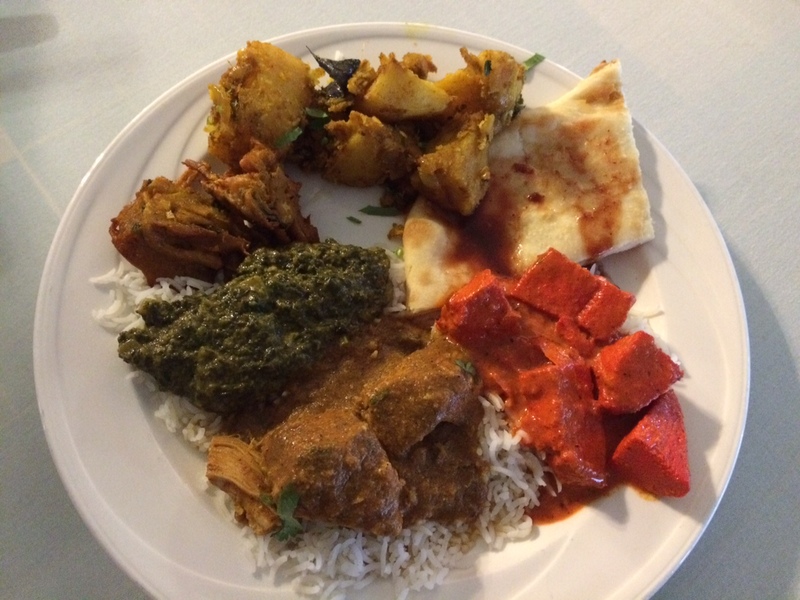 The lunch buffet is a great way to try multiple dishes and decide what you like best. Which is hopefully everything. The lunch buffet is always a little less spicy then when you order them for dinner. They have over 10 lamb and goat options which pretty impressive for any menu in the Midwest. Foodie Tip: Never order one side of Naan to share. Not because the portions are small, but because it is just that good. Habesha is a term Northern Ethiopians and Eritreans use to refer to themeselves. It is a term of pride and used to eliminate distinction between different tribes and celebrate unity as people of the same region. 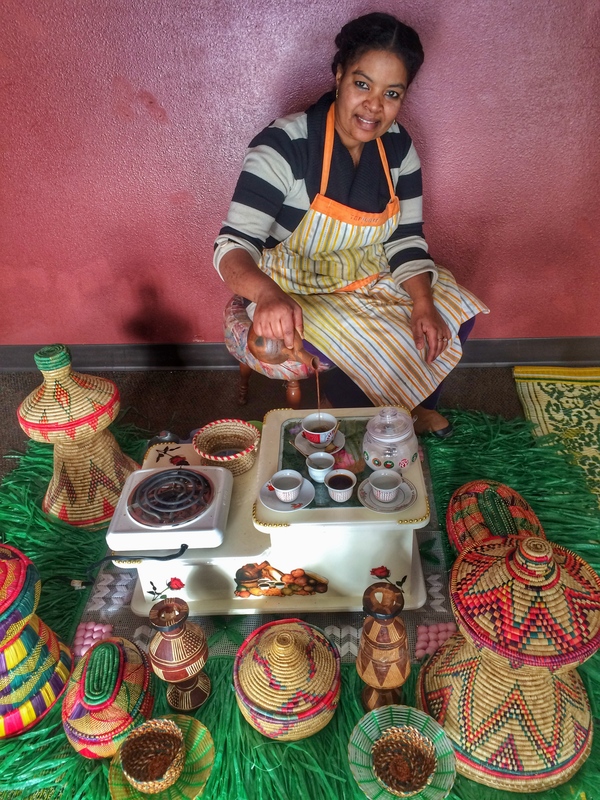 We are very fortunate to have Habesha Ethiopian Cuisine in our city. The owner and chef, Senait, is grateful and humble. While we sat there for lunch, she came over to share stories about Ethiopian traditions while her son sat in the corner with a sippy cup, watching cartoons. It was like a quaint neighborhood diner but with better food. 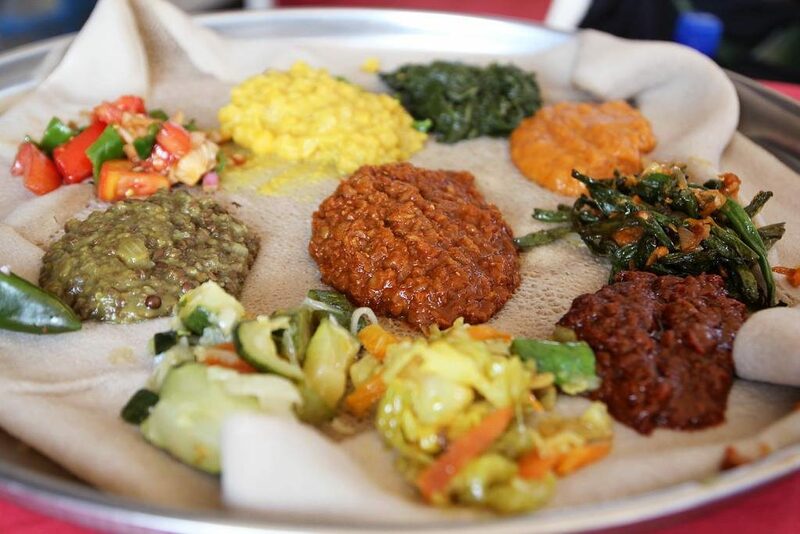 Ethiopian food is traditionally eaten only with your fingers. You can ask for a fork to enjoy your meal. It will be less authentic but still delicious. Most dishes are served on a giant, fresh pancake-like bread called injera. You tear off a piece of injera and scoop of the variation of stew, lentils and vegetables. Their prices are very reasonable and the portions are generous. Foodie tip: If you have time, ask for the ceremonial coffee. The process begins with roasting the beans using traditional Ethiopian techniques. There are a few great Thai restaurants in town but Leela’s has always been my favorite. The servers are always friendly and there is a more upscale atmosphere without the price tag. The curry is never disappointing. 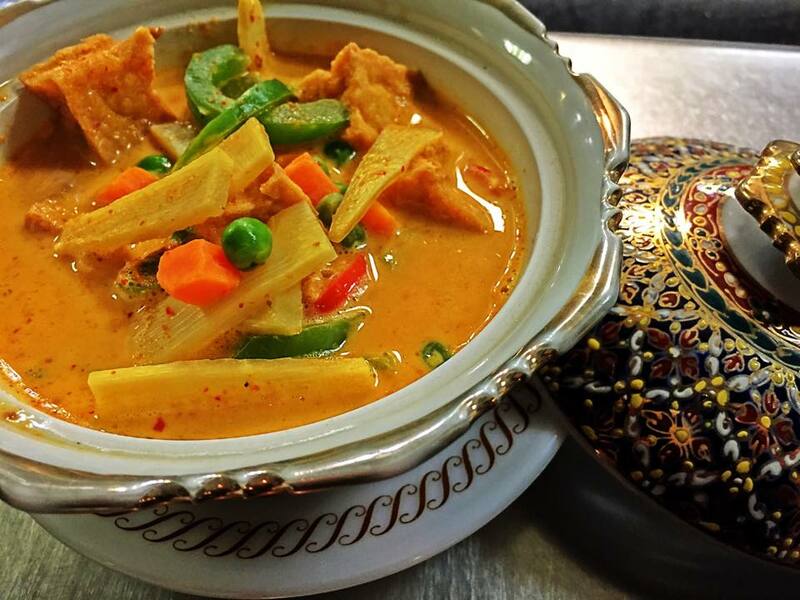 The Mango Duck Curry is heavenly but the red or green curry with your choice of protein is always delightful. They have plenty of non-curry options as well. Spaghetti Kee Mao sounds strange but packs a punch for those who don’t mind a little heat. Foodie Tip: Thai food is generally a great healthy option for those seeking dairy free foods but if that doesn’t concern you be sure to order the Bags of Gold (variation on the cream cheese wonton) and the Thai ice tea (sweetened with sugar and condensed milk). I’m 50 percent German, plus I enjoy beer, so it would be a shame if I didn’t mention the ‘Wurst place in Fargo’. 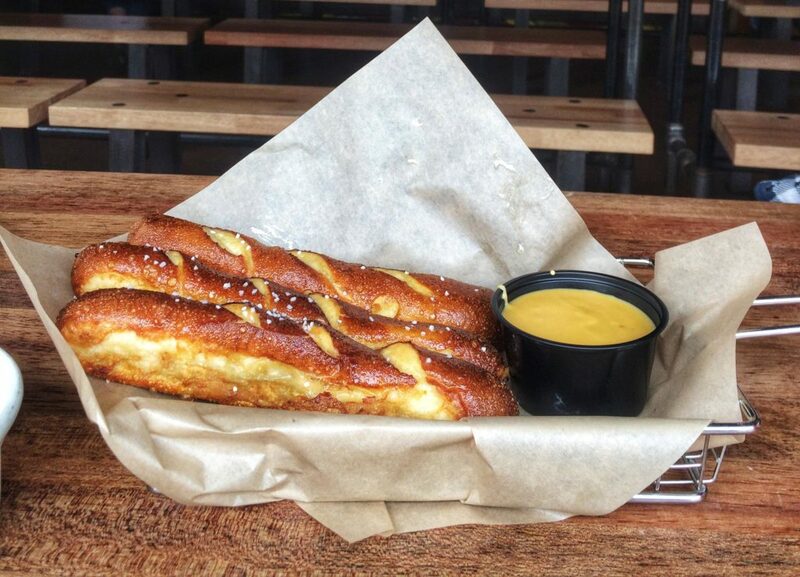 Wurst Bier Hall does just about everything right on their menu. The borscht (beet) soup, the bavarian pretzels with haus beer cheese dip, the variety of smoked and fresh sausages, and some hard to find favorites like spaetzle and schnitzels. One menu item that is not German but has become a bit of staple at Wurst are the sweet potato fries with marshmallow cream dipping sauce. I will say their kuchen (German cake) is good and worth trying if you have never had it. I grew up on a differently style of kuchen with a thicker crust and was never served warm. To each their own. Food Tip: Order das boot if you are with a group and be sure to read the rules. We take our drinking games very seriously in the North. Click here for a full list of restaurant in Fargo-Moorhead and West Fargo. Search by ‘style’ to find your favorite ethnic restaurant. UPDATE: Unfortunately, Habeesha Ethiopian Restaurant has closed since our last visit before posting this blog.